Solar water heaters are not a 100% solution for your heating needs, so they must always be paired with an existing conventional water heater. The offerings in the solar water heating industry vary, but customers can expect anywhere from 50-80% of their hot water needs to be met by a solar thermal collector. At a time when energy costs are constantly threatening to rise, solar water heating can provide 50-80% savings off your heating costs now and for 30 years into the future. The government is doing its part to make solar water heaters more appealing. The federal government offers a 30% tax credit for any money spent purchasing or installing solar water heating technology. On top of that, many states offer additional incentives to encourage investment in solar technology. Consult the Database of State Incentives for Renewables & Efficiency (www.dsireusa.org) to learn more about which incentives are available in your state. 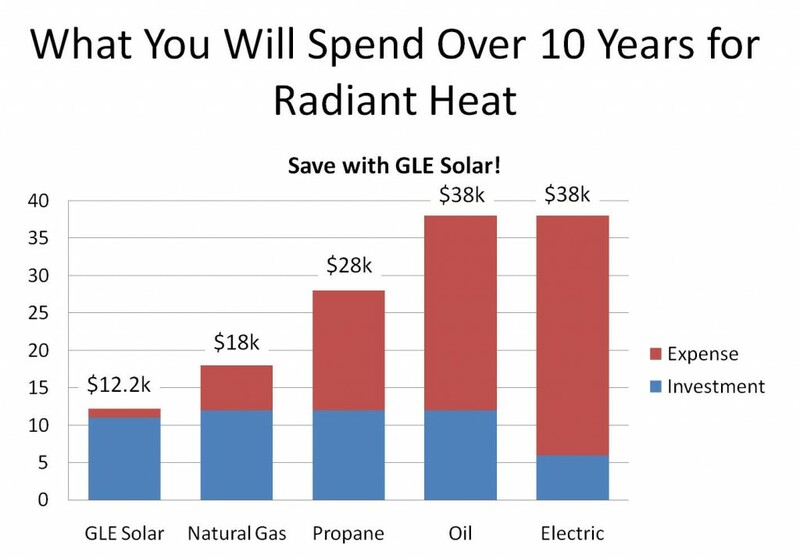 Even if you live in a state without additional incentives, solar water heaters are a good investment. If you are supplementing a natural gas water heater that you only use for domestic hot water, it could take up to a decade worth of savings to justify the initial investment. The payback timeframe is smaller for existing water heaters that use propane, electric, or oil, and hot water systems used for radiant floor heating and pool heating justify themselves 2-3 times as fast. When a product is expected to last at least 20 years past the break-even point, the savings are too good to ignore.